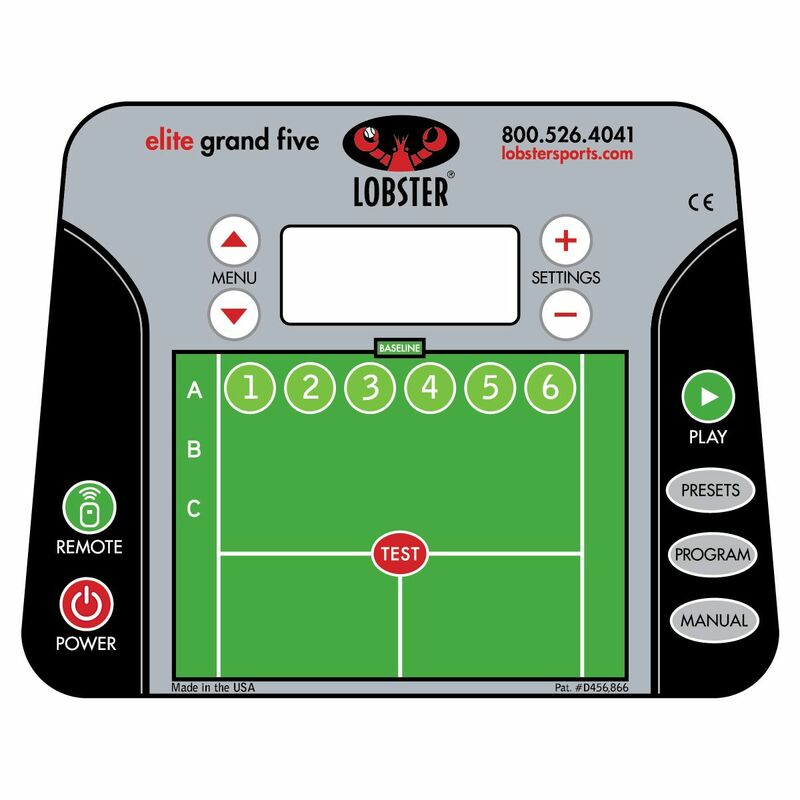 The Lobster Elite Grand Slam 5 ball machine provides six pre-programmed court drills that simulate the most popular styles of play, including grinder, power baseliner, all courter, approach, attack/defend and forehand plus. Forehand Plus – a similar sequence to the Approach mode, with 2 balls on the backhand side to be hit with a forehand. Repeated after a 6 second delay. The machine also allows you to program shot locations, speed, spin and feed rate. It can hold up to 6 custom drills that repeat through a 6 shot cycle. The Lobster Elite Grand Slam 5 offers a revolutionary design that allows the machine to throw balls throughout the entire spectrum of the court mixing up speed, spin, trajectory and oscillation. The machine also features 3-Line function providing three versatile positional settings: narrow, medium and wide. The machine has oversized, 8-inch (20cm) wheels that allow easy movement over any surface and moulded handholds on the underside of the machine make it easy to lift during transport. It also has 3-foot ergonomically designed handle that makes it easy to push or pull the machine. 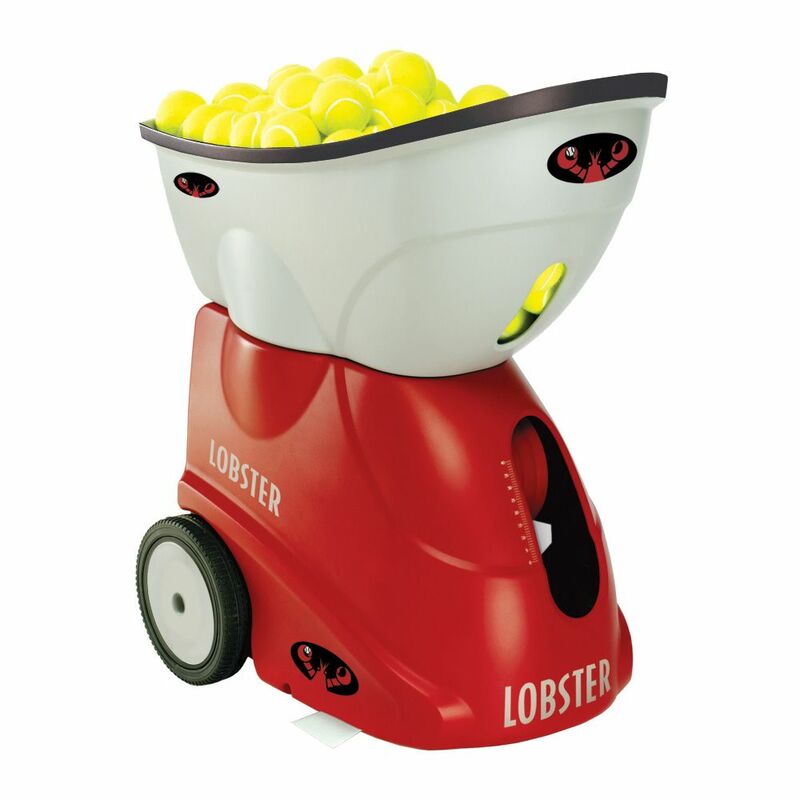 The sleek hopper holds 150 balls and features a convenient cutout that allows you to monitor the ball level from the other side of the court. The hopper inverts to cover the machine making it small and compact for easy fit in the trunk of your vehicle. The Lobster Elite Grand Slam 5 ball machine is supplied with a 15-function wireless remote control that allows you to adjust most every function of the machine like: play/pause, oscillation sweep, fully random, 3-line, speed, feed, spin, and much more. for submitting product information about Lobster Elite Grand Slam 5 Ball Machine with Remote Control We aim to answer all questions within 2-3 days. for submitting product information about Lobster Elite Grand Slam 5 Ball Machine with Remote Control. We aim to answer all questions within 2-3 days. If you provided your name and email address, we will email you as soon as the answer is published. Having had this machine most of the summer now, I have to say I'm quite impressed. It's a bit more complicated that I expected but I'm sure after spending more time with it, especially using the programming and saving of drills, I'll be able to use it to its maximum potential. Overall, I have to say I'm very pleased with this machine. I'm sure once I start using it again next summer, and am one year fitter, I'll really get some extended us out of it and hopefully continue to have no issues with battery life, durability and reliability. Although this machine has more features than I think I really need, I wouldn't hesitate to recommend the Elite V to any tennis enthusiast looking for a ball machine. 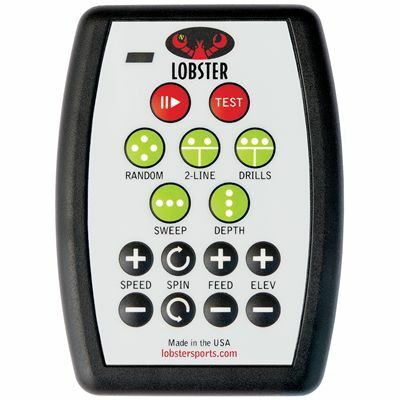 for submitting product review about Lobster Elite Grand Slam 5 Ball Machine with Remote Control.